It’s a beautiful summer evening and my husband and I enjoy a drink on our terrace. An enormity of green stretches in front of us as far as the eye can see and the songs of the cicadas compete with the reassuring sounds of the river. We’ve just finished renovating the farmhouse next door, the result of a labour-intensive nine months, and we feel like a huge weight has been lifted. We contemplate how far we’ve come since the first day we met five years ago, outside of the Whitechapel Gallery, when I had almost given up on The Love Project. Five years of moving and renovating houses, travelling, volunteering with elephants, getting married, moving to France last year and bringing an old farmhouse back to life. I remember snippets of programmes like Escape to the Chauteau or A New Life in The Sun that we used to watch from our sofa in Streatham and realise we are in the same setting, minus the camera crew. It feels unreal. And yet here we are. I am silent for a second. I remember the times when I used to lie awake at night in my flat in Aldgate East and worry that I would die alone. I never imagined I would ever own a house. I was lucky to have a job and afford rent in a decent flat. One of very few I’ve ever lived in during my many years in London that wasn’t either in a dodgy or remote area, burgled, freezing, wet, covered in musty carpets and yellowing wallpaper, raided by the police or infested by bed bugs. And here I am now. In France. Married. With two houses and ten acres of land. A cat, a dog, five goats, eight chickens and a resident pony. My husband doesn’t believe in luck and neither do I. ‘Luck is finding five pounds on the street,’ he says. ‘Everything else is hard work.’ So am I really lucky to have all this? Or have I worked really hard for it? When I decided I wasn’t going to live my life like a helpless victim anymore, when I would stop moaning and complaining and take charge of what I wanted, I put something very powerful into motion. I instigated a ripple effect whose expressions are visible today. 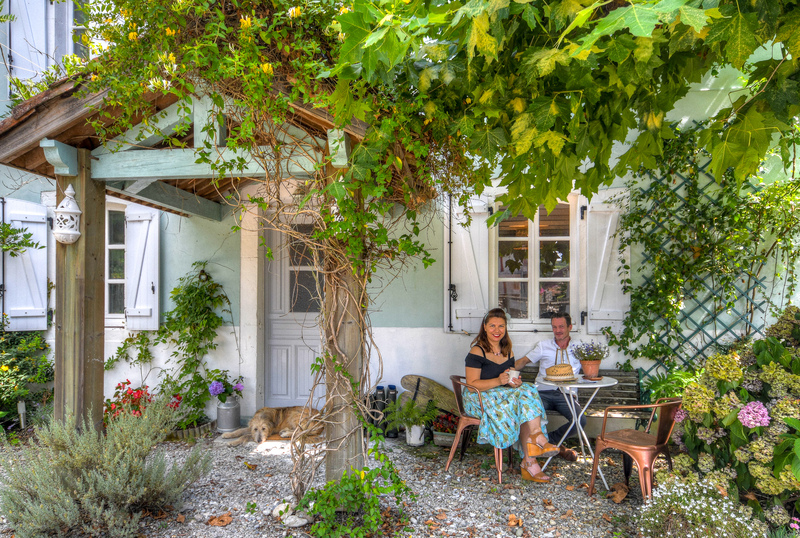 I created the reality of my husband and my house in France approximately five years ago when I started The Love Project.